October is coming to a close and with that ends the multitudes of Oktoberfest celebrations around the world. Experiencing Oktoberfest in Germany (one of my favorite countries to date) is one of the experiences I hope to have soon, when I’m still young enough to not get annoyed at getting splashed with beer and offended by raunchy behavior. Until the day comes when I’m sitting in a beer tent in Munich munching on a pretzel and trying to hold a beer mug bigger than my head though, I can at least celebrate Oktoberfest in the city by the bay. 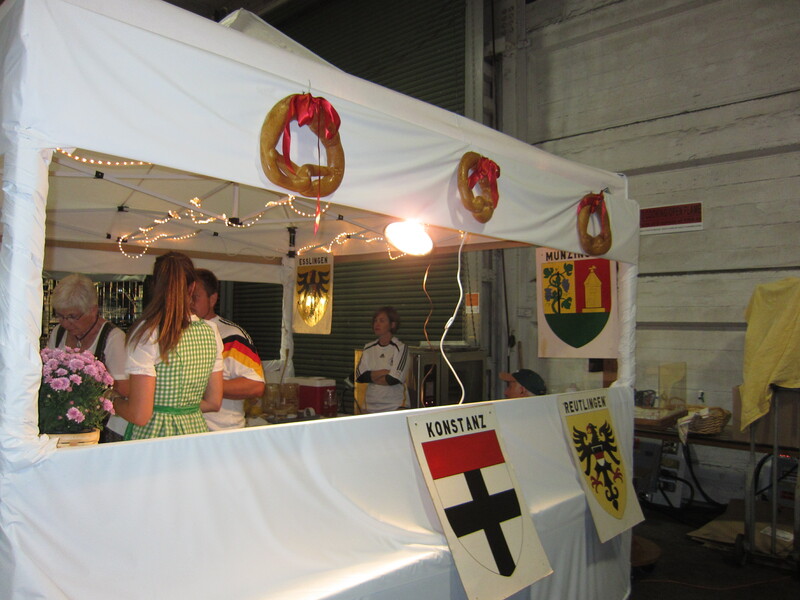 Oktoberfest by the Bay is San Francisco’s annual celebration of all things German. It’s basically set inside an empty warehouse on Pier 48 near AT&T Park. My enterprising hubby got discounted tickets early on so we didn’t pay the full $25 admission. The regular admission price is quite a bummer since it doesn’t include any drink tickets, food vouchers, or even a commemorative pin. $25 basically gets you the privilege of going in and spending more money on food and drinks so take my advice: buy your tickets right when they become available, about a month in advance to save about $10 – $15. The hall was made to look like a German beer hall, at least what I think a German beer hall looks like, with the various German regional flags and beer banners all around. Booths sold souvenirs, German goods, food and, of course, beer. 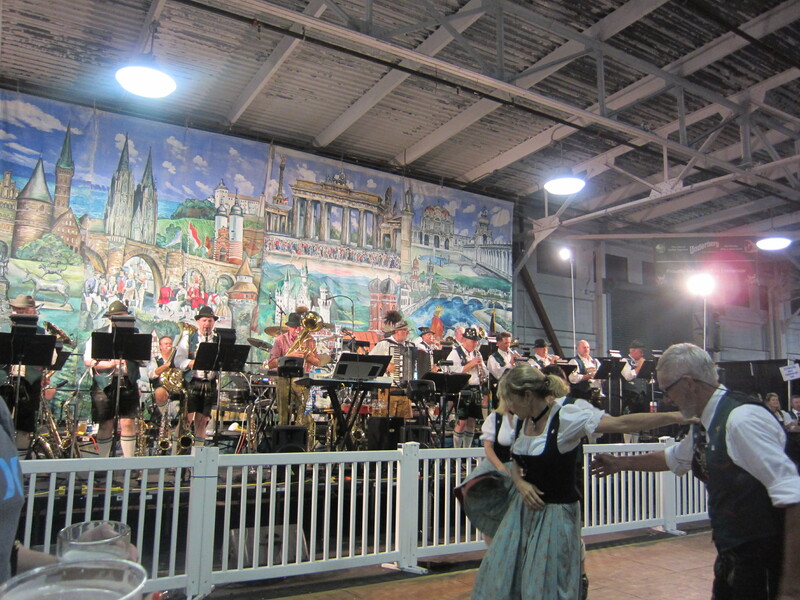 For entertainment, there was a 21-piece Bavarian Band and traditional German dancing. Even though the place was filled with communal long booths inside and outside, it was quite crowded on the Saturday night we went, with nary a seat available for our group to sit down and eat our bratwurst. 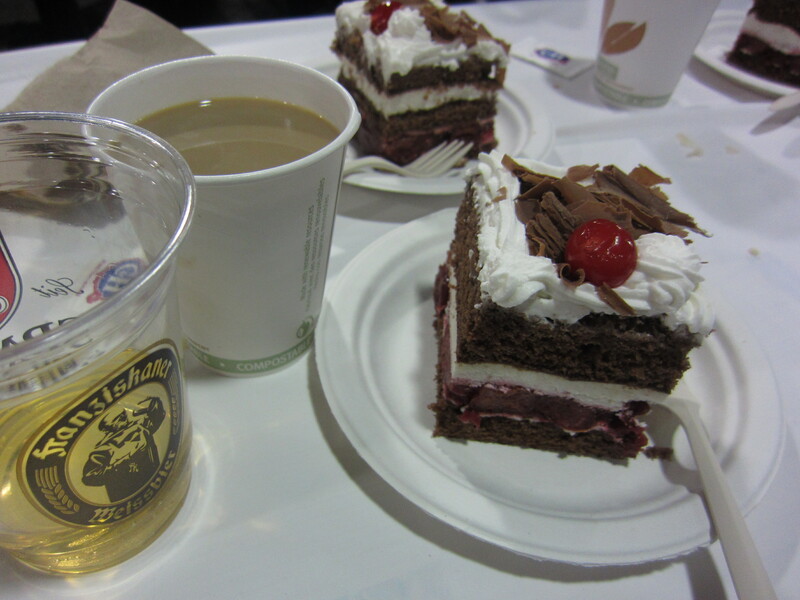 Hubby eventually found some space squeezed between two groups, which allowed us to eat our meals, relax and finish with some Black Forest cake (yummy!) and coffee. 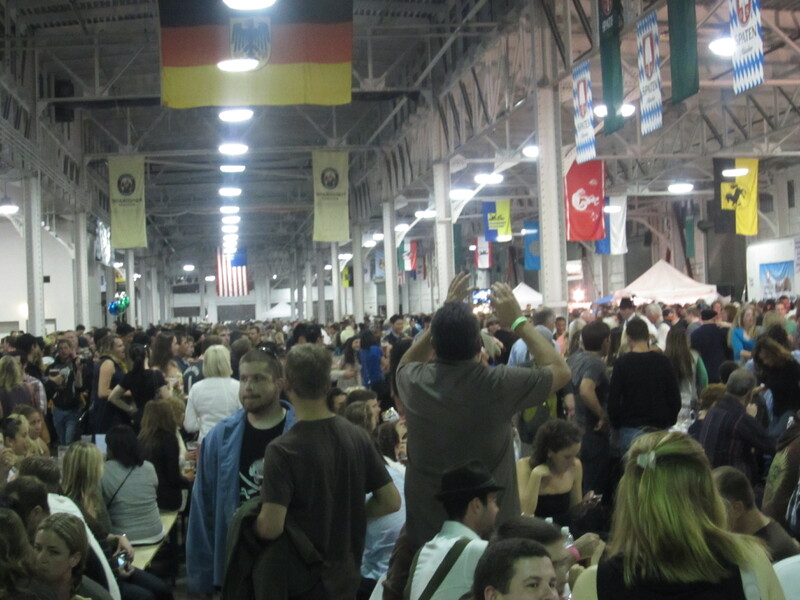 Would I go back to Oktoberfest by the Bay next year? Probably not…but I’m glad I experienced it once. A few weeks later, we were in Auburn, CA for dinner after a day of gold panning along the Yuba River. 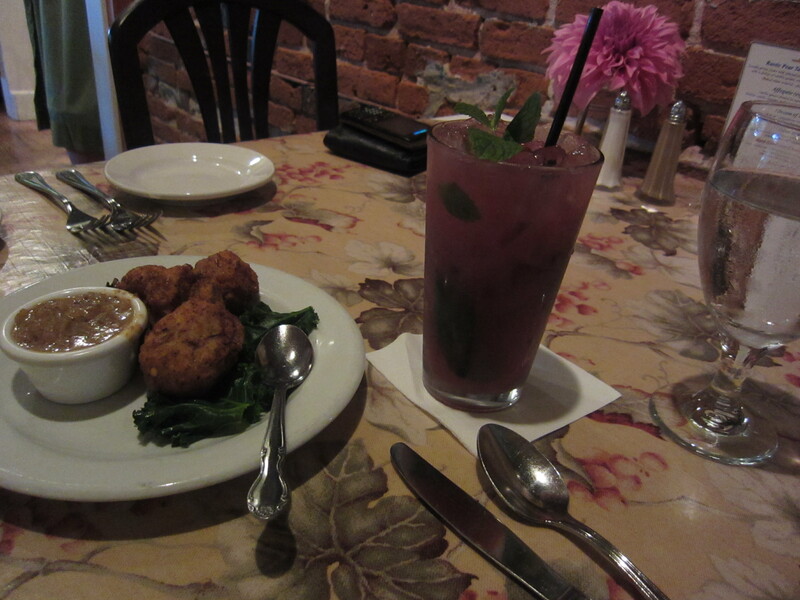 Directly across from Auburn’s beautiful courthouse is Latitudes: Pat and Pete’s World Kitchen. 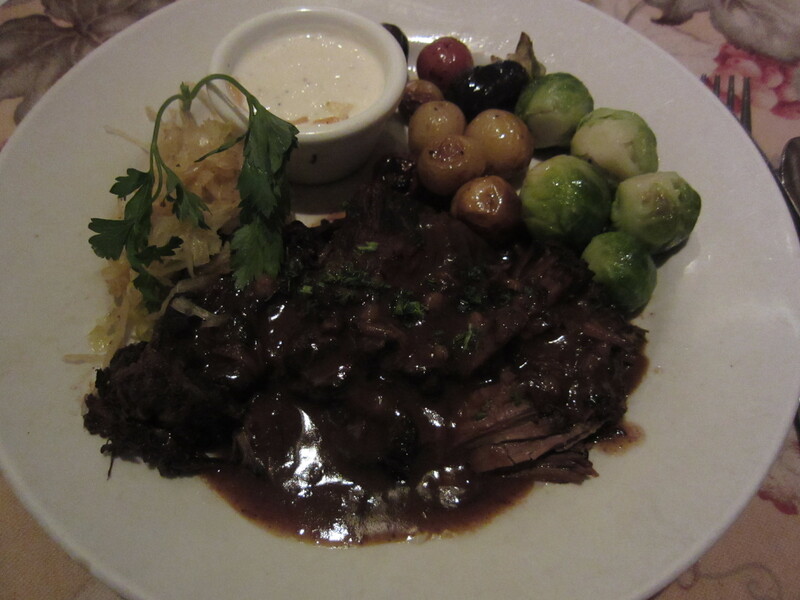 Housed in a lovely three-story 1880 Victorian house, Latitudes has a rotating menu that spans the world. I’m usually weary of these types of restaurants. My experience is that places that try to do everything don’t really succeed in doing any one thing well. 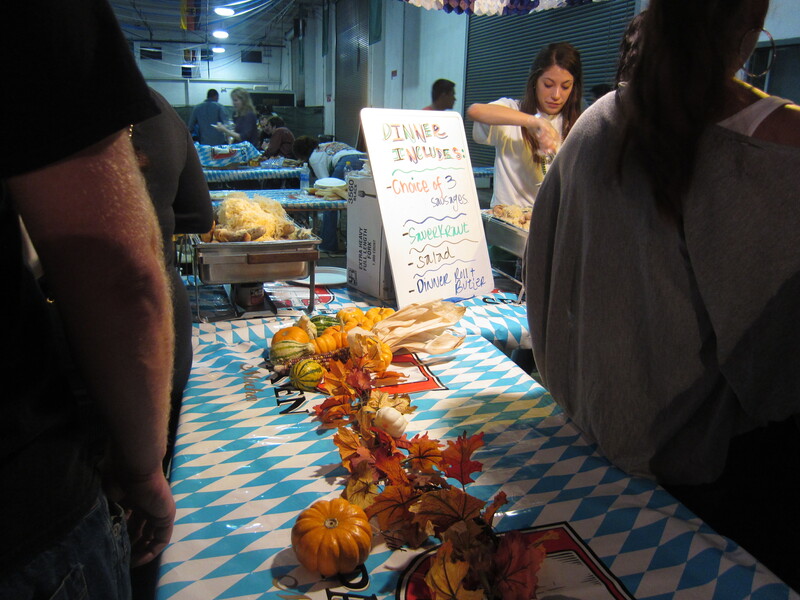 It just so happened that they were featuring an Oktoberfest menu so we ordered fried sauerkraut dumplings, sauerbraten and huehner schnitzel. 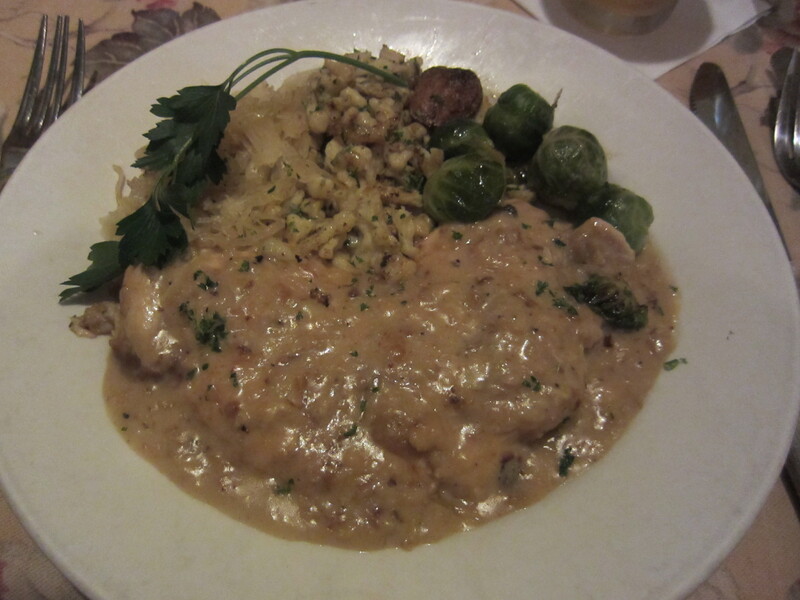 Honestly, I wasn’t very impressed with the food and for the price we paid it was too costly. Everything was sauced too much for my liking. Hubby vehemently disagrees with my displeasure. 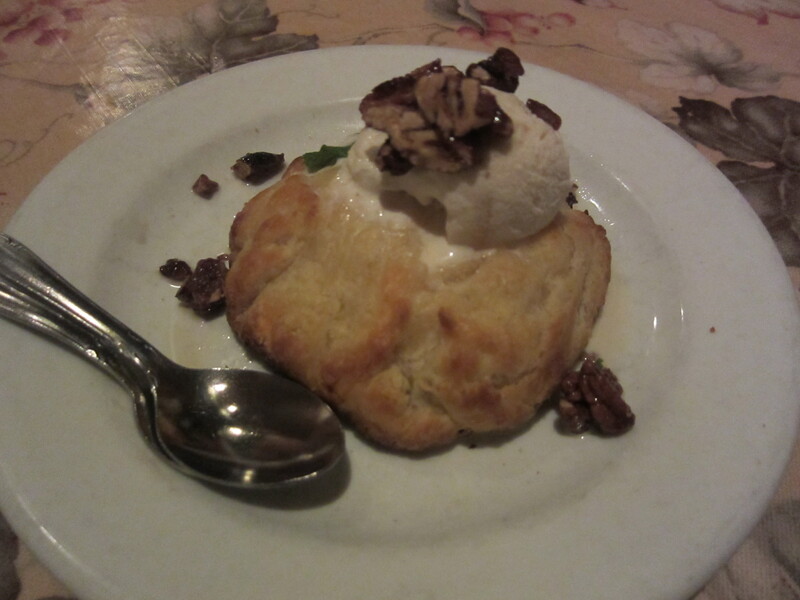 The highlights of dinner for me were my refreshing mojoito-like drink and dessert, an amazing rustic pear torte. If I was in the area again I would go back to sit in their lovely patio for a small bite or get a drink in the bar downstairs that features live music. And that rustic pear torte. I would definitely go back for that rustic pear torte.